Pulitzer-prize winning journalist, David Rohde, explains the Srebrenica genocide within the wider context of the Bosnian war. 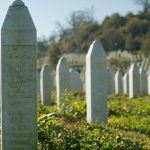 In the spring of 1993, the United Nations Security Council declared Srebrenica the world’s first internationally protected “safe area.” With Bosnian Serb forces poised to over-run the enclave of 60,000 Bosnian Muslims, the world body promised to demilitarise the town and deploy UN peacekeepers to protect its inhabitants. After 45 years of relative ethnic tolerance under the rule of Josip Broz Tito, the six republics that made up Yugoslavia disintegrated into civil war in 1991. Seizing the Yugoslav army’s tanks and heavy weapons, Serb ultra-nationalists led by Slobodan Milošević had launched a campaign to create a “Greater Serbia.” In lopsided fighting, they drove Croats and Muslims out of parts of Bosnia and Croatia that they hoped to incorporate into “greater Serbia.” By the spring of 1993, Srebrenica was one of a half-dozen surrounded towns across Bosnia where besieged Muslims struggled to hold off attacking Serb forces. After Srebrenica was declared a safe area, the UN Security Council declared five other besieged towns and cities across Bosnia “safe havens” as well. UN Secretary General Boutros Boutros-Ghali asked UN member states to contribute 37,000 peacekeepers to defend them. After Security Council members criticised the size of the request, Boutros Ghali scaled back the number to a “light option” of only 7,600 peacekeepers. More than any other act, that decision doomed the residents of Srebrenica. The international community pledged to help the people of Srebrenica and Bosnia, but then failed to provide the military resources needed to do so. From 1993 to 1995, first Canadian and then Dutch peace- keepers arrived in Srebrenica to defend the town. They stripped its Bosnian Muslim defenders of their heavy weapons and set up UN check- points around the enclave. For years, Bosnian Muslims from inside the enclave intermittently carried out raids on surrounding Bosnian Serb villages. Serb forces, meanwhile, intermittently blocked food convoys and UN troop rotations. By July 1995, only 400 lightly armed and poorly supplied Dutch peacekeepers remained in the town. When Serb forces launched a major offensive to take the town on 6th July, the Dutch forces deployed requested NATO air strikes twice to halt the Serb advance. UN commanders repeatedly rejected the requests. On 11th July 1995, the request for bombing was finally approved but it was too little, too late. The enclave fell to Serb forces on the afternoon of 11th July 1995. The commander of the Bosnian Serb Army, Gen Ratko Mladić, entered Srebrenica and triumphantly declared to a Bosnian Serb television crew that he was going to take revenge for the “rebellion of the Dahijas,” an 1804 Serb uprising in the Srebrenica area that had been brutally suppressed by the Ottoman Turks who ruled the region at the time. 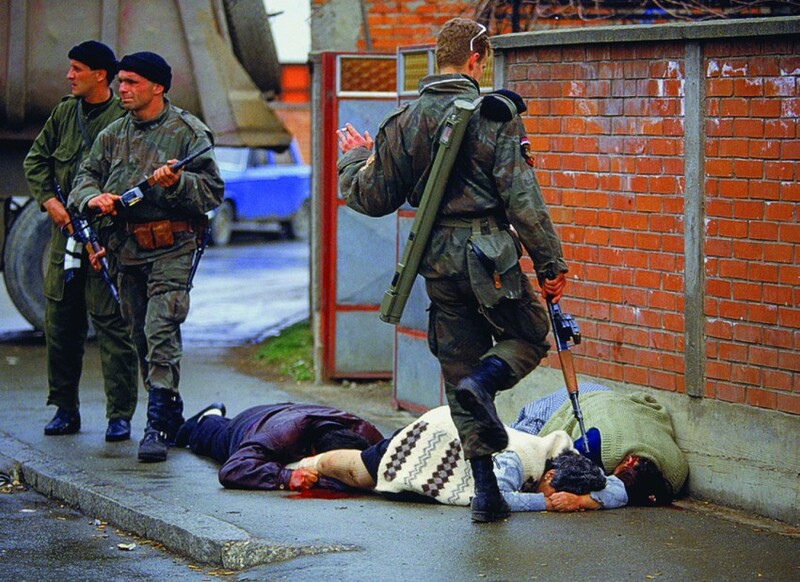 Local Serb residents were also eager to take revenge for raids by Bosnian Muslims from inside the enclave. Fearing a massacre, thousands of Bosnian Muslim men and boys tried to make the thirty-mile trek from the fallen enclave to Bosnian government controlled central Bosnia. Mladić’s troops blocked roads, carried out ambushes, and used stolen UN vehicles and uniforms to trick Bosnian Muslims into surrendering. Over the next ten days, Serb forces killed over 8,000 Bosnian Muslims from Srebrenica. The execution sites ranged from a warehouse, to a farm, to an earthen dam. When I traveled into Bosnian Serb territory and found some of the mass graves, Serb forces dug up the bodies and reburied them in new locations. In December 1995, over 60,000 American and NATO soldiers arrived in Bosnia to enforce the Dayton Peace Accords. Hopes rose among Bosnian Muslims that Gen. Mladić and Bosnian Serb President Radovan Karadžić, the civilian leader of the Serb forces, would be arrested and sent to the International Criminal Tribunal for the Former Yugoslavia to stand trial. But US and NATO troops patrolling Bosnia made no major effort to arrest Karadžić and Mladić. After remaining in Bosnia for several years, they crossed into Serbia and went into hiding. For years, both men lived in Serbia with the support of local ultra-nationalists and some government officials. In 2009, Serbian government security forces finally arrested Karadžić and sent him to The Hague after years of diplomatic and economic pressure from the European Union. In 2011, General Mladić was arrested and handed over as well. Today, the massacre is the single largest symbol of the international community’s failure in the former Yugoslavia. Promises of allowing Srebrenica survivors to move back to the town and reverse Serb ethnic cleansing have been only partially fulfilled. Most alarmingly, Bosnia is a failed state. The constitution adopted as part of the Dayton Accords allows Bosnian Serb nationalists to veto efforts by Bosnian Muslims and Bosnia Croats to create a strong central government. Corruption by government officials on all three sides is endemic. Talented young Muslims, Croats and Serbs are fleeing the country in droves in search of better opportunities abroad. Thousands of survivors from Srebrenica have moved to the US as refugees. More Srebrenica survivors are currently believed to live in the US than in Srebrenica itself. Karadžić and Mladić have achieved their primary goal. A de facto ethnically pure Bosnian Serb state has been carved out of once multiethnic Bosnia. Many survivors from Srebrenica continue to believe the town was sacrificed as part of an international conspiracy. No definitive proof of a conspiracy had emerged as of June 2013. Before dying in 2003, Bosnian President Alija Izetbegović denied striking any deal to sacrifice Srebrenica. Before passing away in 2010, Richard Holbrooke vehemently denied sacrificing the town as well. In hindsight, a lack of peace- keepers from UN Security Council members, incompetence by the UN, Bosnian, and Dutch commanders led to the fall of the town. A poorly armed, poorly equipped, and poorly run peacekeeping mission monstrously failed Srebrenica’s people. The best way to serve the 8,000 dead and missing is to continue the political struggle against Bosnian Serb separatists. Bosnia’s constitution should be reformed, and the Serb veto power removed. Many young people in Sarajevo and other cities and large towns remain tolerant. But people on all three sides fear another conflict. Years of caution by the international community have led to slow progress in Bosnia. Decisive political action is needed. Srebrenica’s 8,000 dead and missing deserve it.